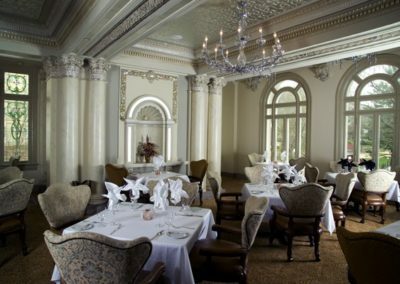 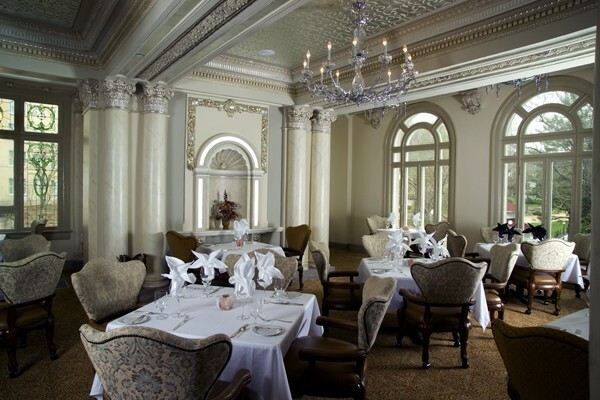 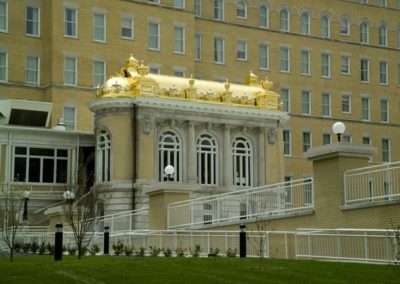 The challenge was a restorative transformation of the 421,000 square foot French Lick Springs Hotel in French Lick, Indiana, a legendary French Renaissance Resort, built in 1845. 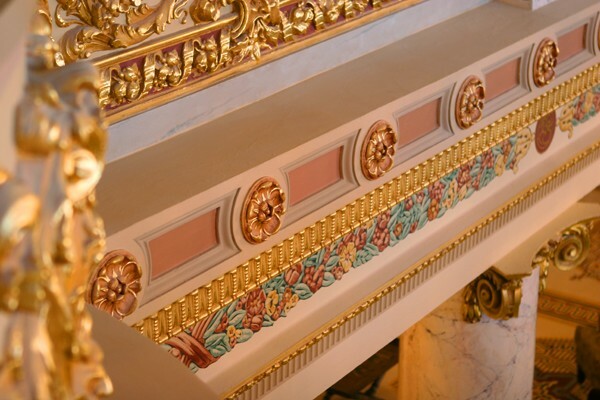 The project presented many decorative issues. 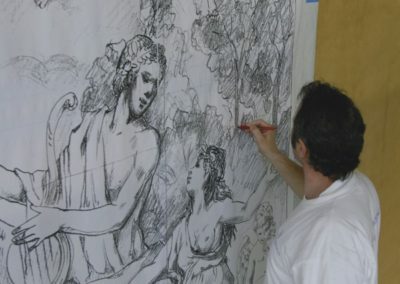 Appointed in June of 2005 to restore its former glory, Conrad Schmitt Studios stepped up to the challenge. 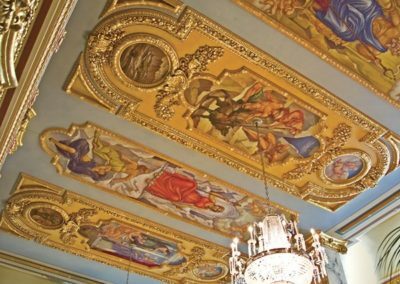 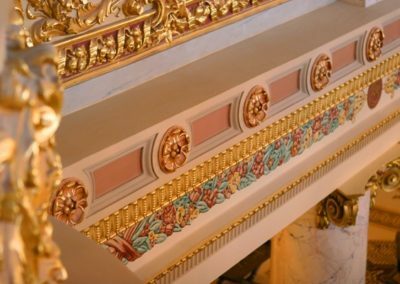 Artists spent 28,000 hours planning and implementing the restoration, which began with a limited historic paint analysis to establish the original color palette, stencil designs, and decorative paint treatments. 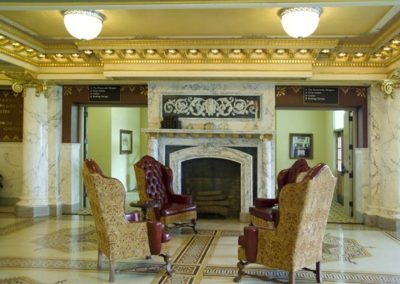 Selections were inspired by historical precedent and ultimately designed to coordinate with the existing, decorative ceramic tile floors. 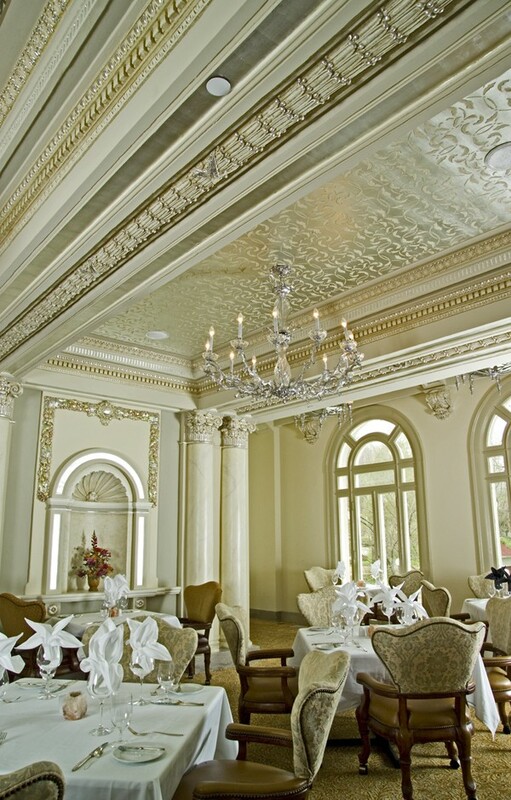 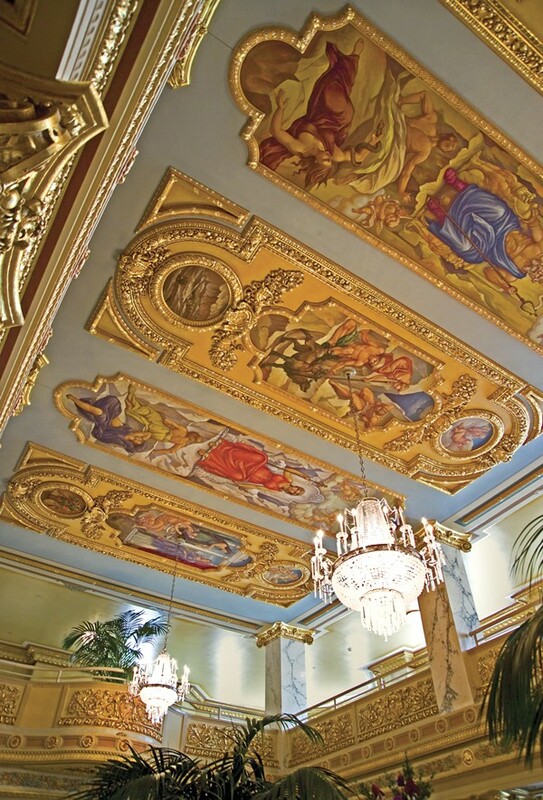 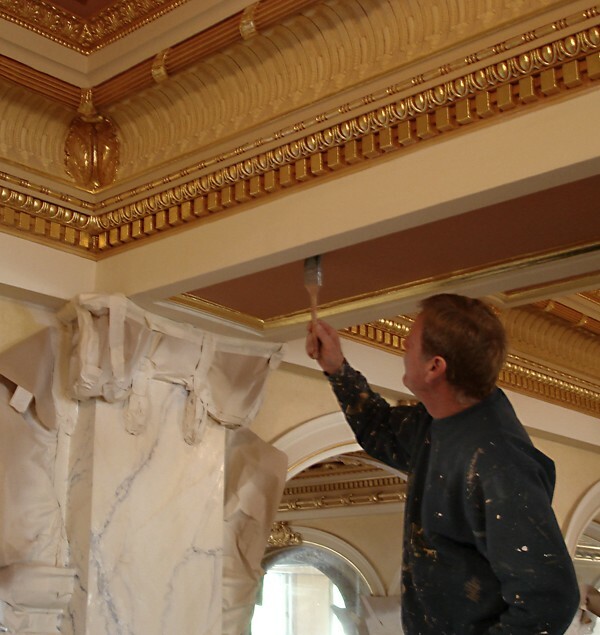 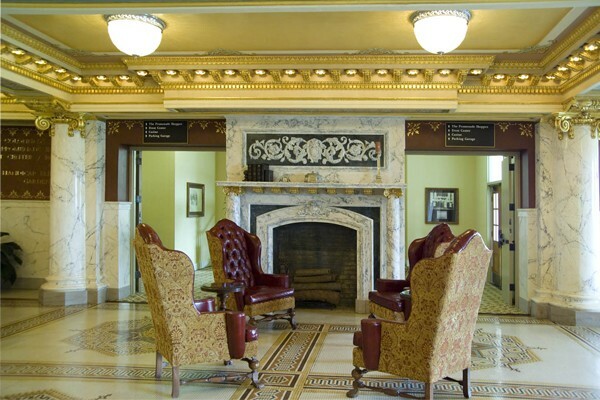 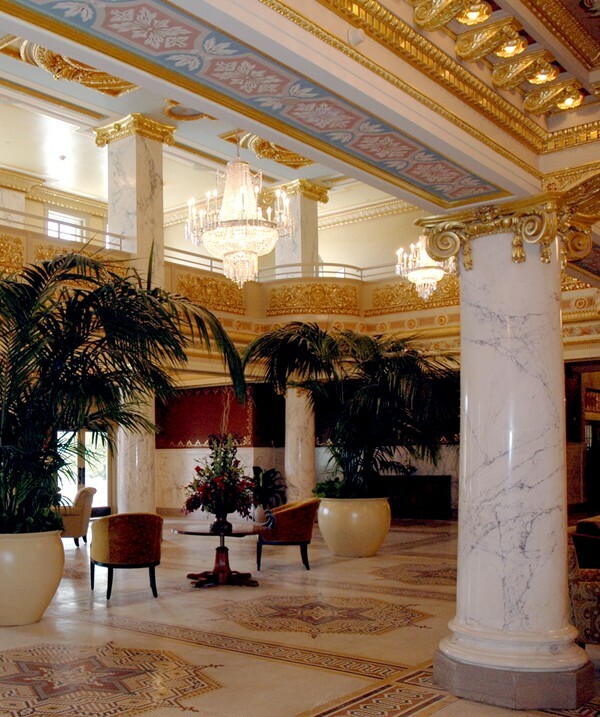 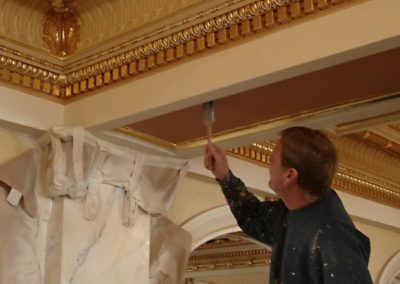 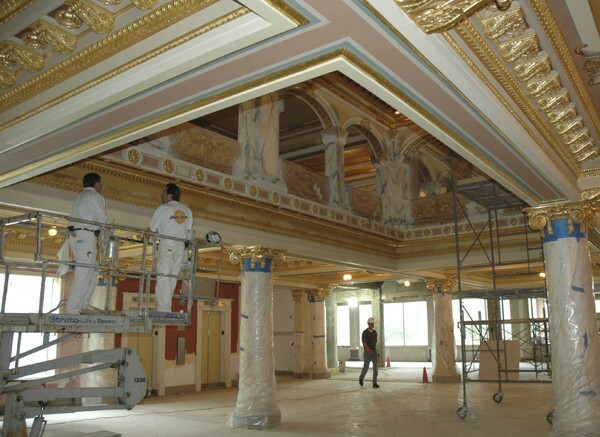 After 1,900 gallons of paint, the ornamental plaster and decorative finishes throughout the hotel were returned to new. 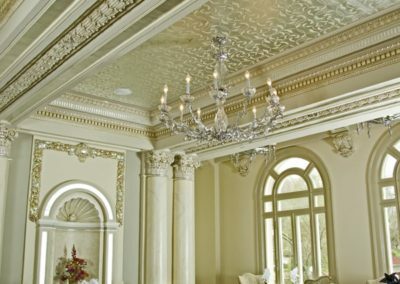 The stunning barrel-vaulted dome framing the entrance was regilded with 23 karat gold leaf and decorated with silver-toned palladium leaf accents. 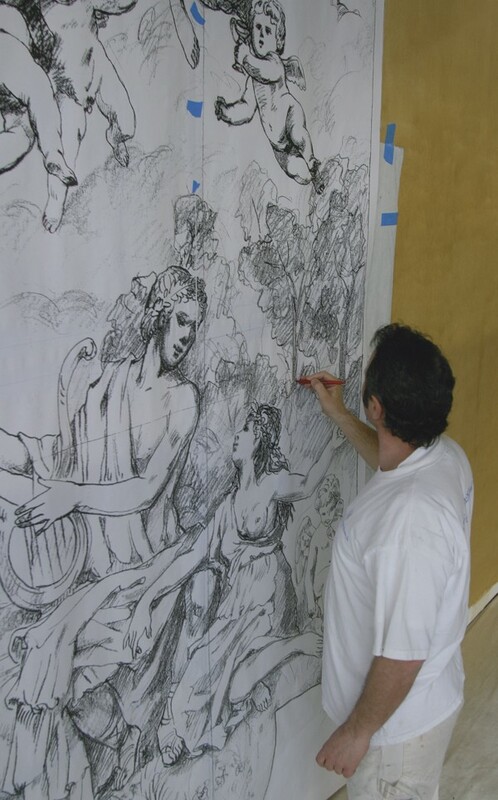 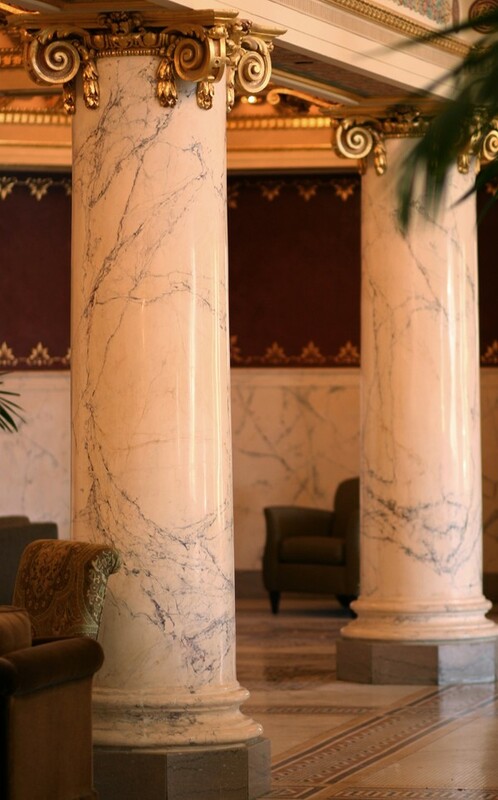 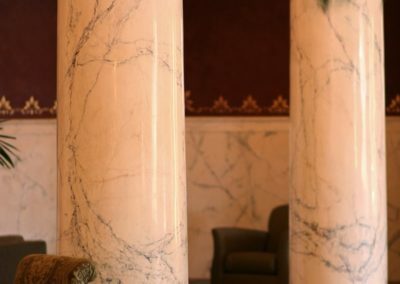 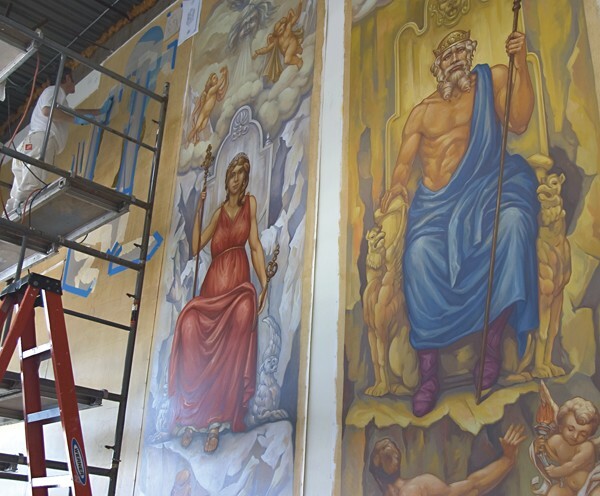 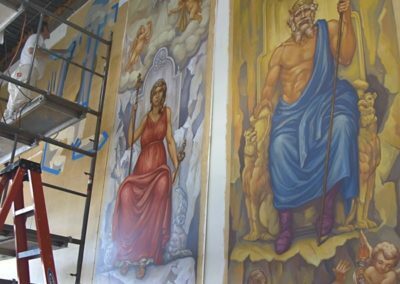 The two-story Grand Lobby enhancements included hundreds of feet of multi-layered stencils, a new series of murals and the exposure of molded faux marble columns, known as scagliola. 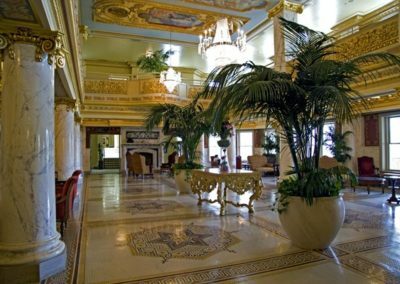 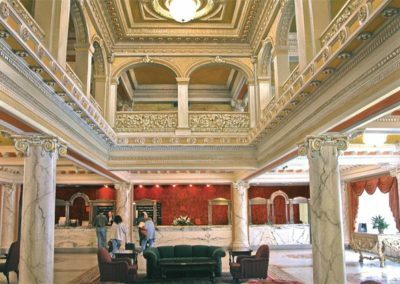 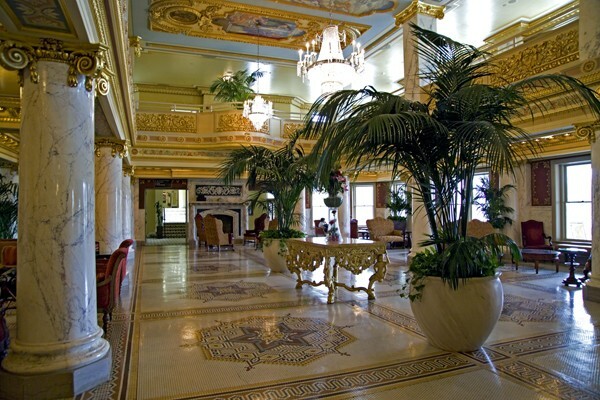 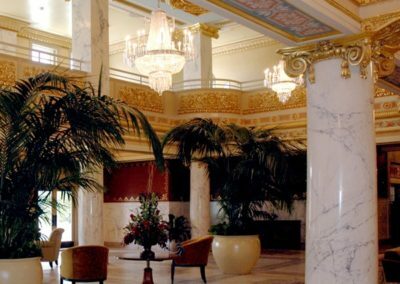 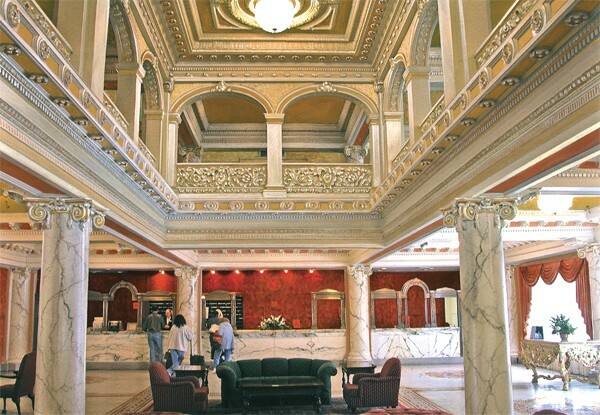 With the addition of a new casino, united with its traditional historic spaces, the French Lick Springs Hotel is a unique destination location.